Leura is the “Garden Village” of the Blue Mountains with unique main street, beautiful gardens, wonderful views and stylish shops, restaurants and cafés. Come for the many annual events, outdoor pursuits, or to experience all that the Blue Mountains has to offer. Lemon Peel House is a short 1k walk to one of Australia's finest Art Deco National Trust house and gardens. This treasure from the 1930s sits in twelve and a half acres of European-style gardens and native Australian bush with breathtaking views over the Jamison Valley in the World Heritage listed Blue Mountains. 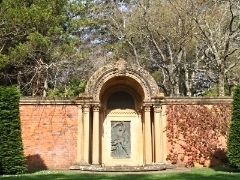 Leura Mall is a 2k walk from Lemon Peel House. Visit "Josephine's" for artisan chocolate made in the Blue Mountains, "Leura Fine Woodwork Gallery", "Megalong Books", "Bijou Jewel of Leura", "Leura Antiques", "Ikou" natural skin care, and many vintage and modern shops. Leura is full of great cafes, restaurants and food shops. Here are a few favourites. 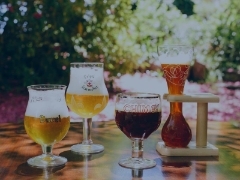 "Flemish Flavours", heritage listed Belgium restaurant with beer delivered in customised glasses. 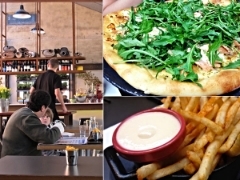 "Leura Garage" - cafe, restaurant and bar renowned for delicious pizza and friendly service. "Silks" for fine dinning in Leura Mall. "Zest" provides excellent breakfast, lunch and dinner with coffee roasted in Leura. "Lily's Pad" for fresh homemade produce, changing the menu to match the season.